Is Cranky Ladies of History going to be a SF anthology, a fantasy anthology or a historical anthology? I’m hoping all three. Historical fiction is a lot closer to SF/F than you might think – that delicate balance between research/accuracy/realism and imagination/wonder/liberty-taking. My recent obsession with historical romance author Courtney Milan took on a whole different angle when I read this review which pointed out that the heroine discovers the chromosome much earlier than in recorded history – which makes it science fiction, right? Science fiction has a long history of allowing the alternative history and even more adventurous, the secret history, to “count” as part of the genre. Mary Gentle’s Ash is a brilliant example of this, a novel that looks and feels exactly like real history – as the reader you desperately want it to be real – but feels like fantasy and science fiction too. It’s too close and too far away at the same time – the uncanny valley of historical fiction, and thus it’s ours. Then there’s that odd tradition we have in the SF genre of allowing historical fiction to “count” if it’s by an author we claim as our own. Karen Joy Fowler’s fiction often works that way, hitting the SF awards shortlists and causing controversy as fans and critics alike argue, does it count? Is it real? The truth is that, while we only tend to let the barriers fall for those authors who are seen as “one of us,” most historical fiction is also science fiction, or fantasy. And not just in that ‘all fiction is speculative’ way. I spent most of my twenties immersed in Roman history, a period so full of gaps and lacunae and great gaping missing bits that you practically have to become a historical novelist to make sense of it all, especially if you want to talk about anything other than the handful of men in power who wrote things down. And yes, when I did start writing fiction about the Romans, I added werewolves, because honestly they make more sense that way. All Arthurian novels are closer to fantasy than history – even if they do ignore the blatant magic that runs through so many of the stories. But Marion Zimmer Bradley created a different kind of fantasy in which women had a greater importance and significance to the politics and religion of the day than had previously been assumed. The Mists of Avalon asked really important questions – like who the Lady of the Lake actually was, and why Guinevere and Lancelot didn’t just quietly run away together, and why a mysterious enchantress would even want to capture Merlin inside a tree. She asked the same questions that social historians have to ask, all the time – what were the women doing, while all the history was being written about their husbands and sons? 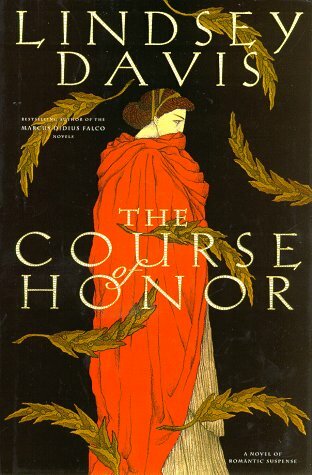 One of my favourite historical novels of all time is The Course of Honour, by Lindsey Davis. Antonia Caenis, the former slave who became the beloved mistress of the Emperor Vespasian, was only mentioned twice in the history books. Davis, who famously brought the Flavian period to life in her Roman detective series featuring the informer Marcus Didius Falco, did a great job of fleshing out a romance between the coin-counting Emperor and the whip-smart woman who could never marry him, which fitted with the few facts we knew about Caenis and the many facts we knew about Vespasian. My life was also substantially changed by the Masters of Rome series by Colleen McCullough – which I read through my teens and which sparked my first interest in Roman women. Her research was meticulous and thorough, though again it was often based on imagining lives of women based on sparse details. I always skimmed over the chapters on politics and war, to get back to the womenfolk. And I was a little devastated to discover that, while Marius undoubtedly married the Julia who was the aunt to *our* Julius Caesar, it was a complete fabrication that she had a troubled, self-destructive younger sister who married Sulla. 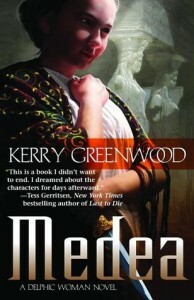 Kerry Greenwood’s Medea, on the other hand, plays with the notion that we know the end of the story, only to sock it to us at the end with the revelation both through fiction and a historical end note, that actually it was Euripides who was playing the alternative history game, and the real Medea (if she existed) was almost certainly framed for her terrible crime. It’s one thing to think of alternative history as being the craft of changing the past, but what if you are using your story to bring it back closer to the historical truth? That’s the game that all historical writers play with us – the tease that this version is real, even if it contains magical islands and manticores, alien invasions or characters who never even made it into the footnotes of history. 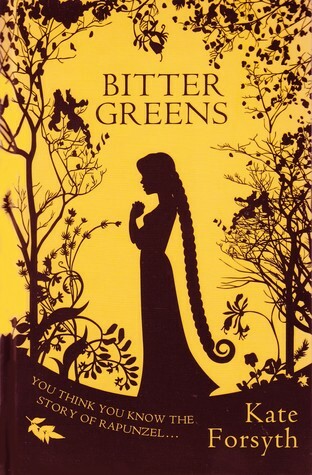 Kate Forsyth, known in Australia as a successful writer of epic fantasy for adults and children, had an international breakout success a couple of years ago with Bitter Greens, a novel which takes fairy tales, fantasy and women’s history and turns them into a marvellous cocktail of can’t-stop-reading. The real live Cranky Lady of the story is Charlotte-Rose De La Force, one of the many ladies-who-salon of 17th century France, an author of fairy tales at a time when the genre was at its absolute hottest. Kate didn’t just write a straight biography of Charlotte-Rose – though she immersed herself in her history even to the point of researching and translating some of her writings which had never before been translated into English – but tangled that story in with the fairy tale of Rapunzel, and an imagined history of the original witch of that tale. 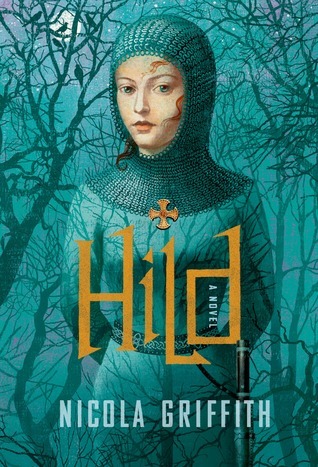 From the scandalous affairs of the French court to Italian courtesans, lovers and plague, and into the magical possibilities of fairy tales and witchcraft, the novel never quite lets up as to which layer is fantasy and which is history. I have no idea what we’re going to get for Cranky Ladies of History – you never do until the stories themselves roll in. I am hoping for fiction which illuminates historical women I know quite well, and others I have never heard of. I’m hoping for new perspectives, for stories that bring history to life as Lindsey Davis did for Caenis, and Kate Forsyth did for Charlotte-Rose. But I would be lying if I didn’t say that I’m also rather hoping that a few witches and manticores and robot doubles slide into the stories too. A Roundup of all the other posts for this campaign can be found at FableCroft.